Grammy.comJustin Timberlake, Robin Thicke, Kendrick Lamar and the duo of Macklemore & Ryan Lewis are among the artists featured on the 2014 Grammy Nominees album which will be available January 21. Timberlake is up for seven awards and the album includes “Mirrors” which is nominated for Best Pop Solo Performance. Thicke received three nominations and his contribution to the album is “Blurred Lines” which is up for Record of the Year. Lamar is featured on the set with “Swimming Pools (Drank)” which is nominated for Best Rap Performance. 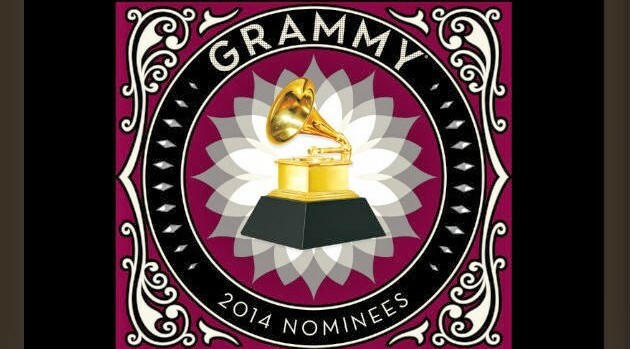 The album also includes “Same Love” by Macklemore & Lewis featuring Mary Lambert which is up for Song of the Year. Macklemore & Lewis and Lamar are up for seven awards and will compete against each other in five categories: Best New Artist, Album of the Year, Best Rap Album, Best Rap Performance and Best Rap Song. If you pre-order the 2014 Grammy Nominees collection at GRAMMY.com/2014GRAMMYAlbum by January 20, you can enter to win a trip to the Grammy Awards. Additionally, if you buy the album in stores, you will receive a special game piece that will allow you the chance to enter to win a trip to next year’s Grammys. The 56th Annual Grammy Awards will air live on CBS January 26 at 8 p.m. ET/PT hosted by LL Cool J.